Here’s a yummy (and easy) jam to make… and it has a “secret” ingredient. 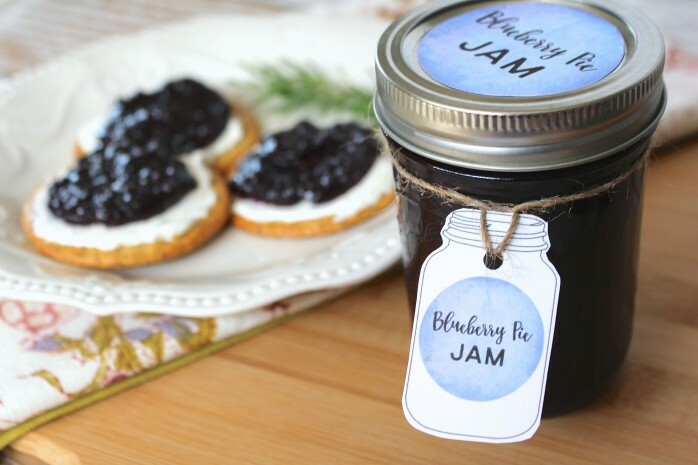 Grab some blueberries and get canning! I also made some printable labels and tags for you, get them at the bottom of the post. 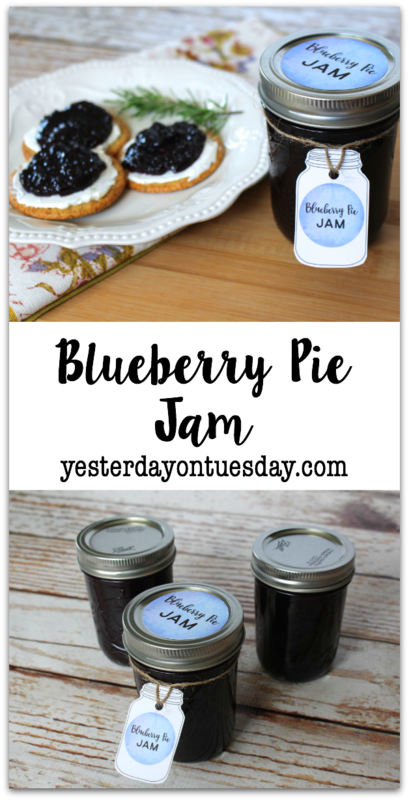 Here’s the link for the Blueberry Pie Jam Recipe. My entire family loves it. 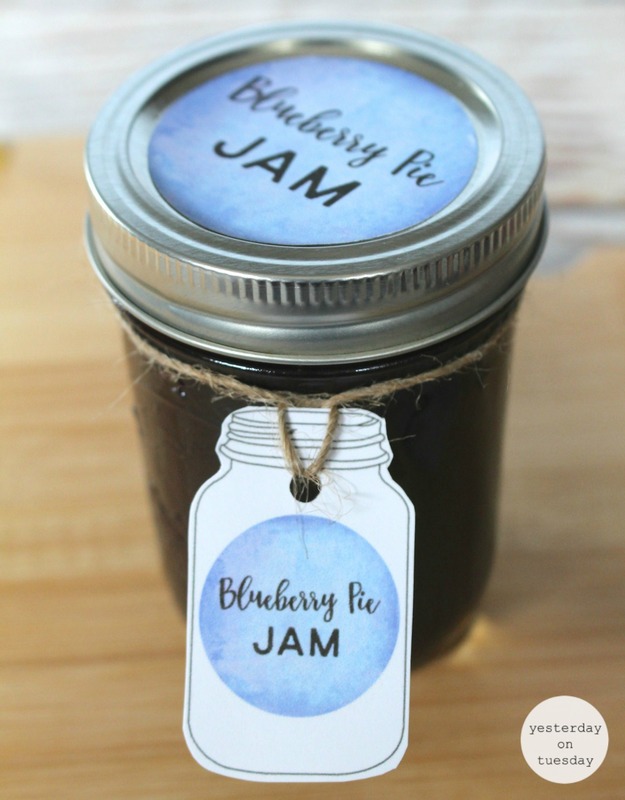 My husband is using it in his PB & J sandwiches and the kiddos love a dollop on vanilla ice cream. I created some labels and tags to go with the jam. Just click on the link, save them to your computer, and print! Did you figure out what the secret ingredient is? 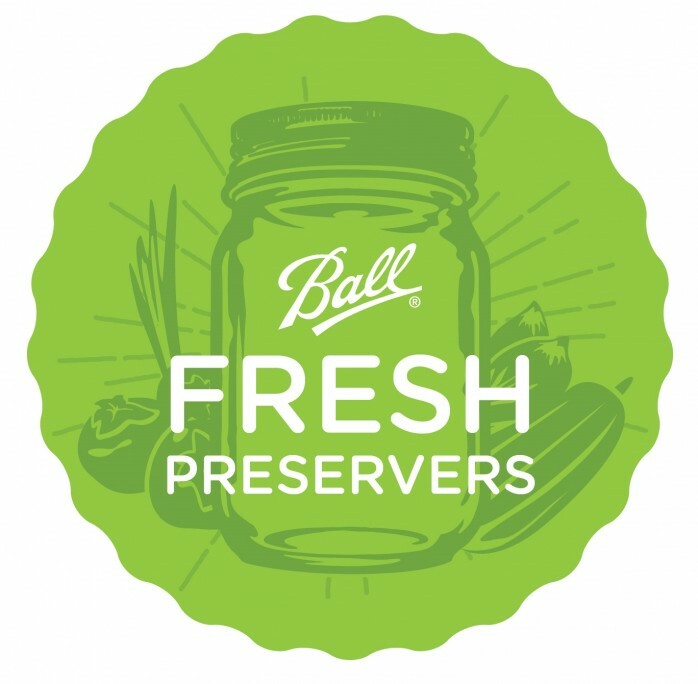 You know how passionate I am about canning, especially Ball® products, right? Well, I’m so excited to be on the Ball® Canning Fresh Preservers team this year. 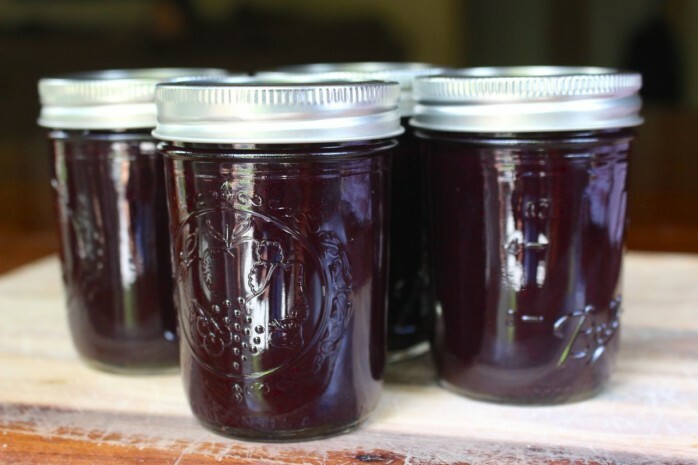 We will be sharing great recipes and more with you this summer! What do you like to can? Leave me a note in the comments! Are these sweet or sour cherries?